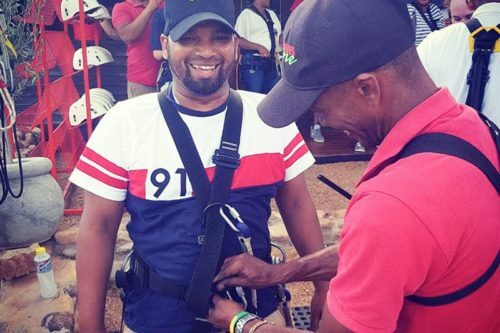 Cango Caves Zipline are situated 1 km from the world-renowned Cango Caves. This is a fun activity for young and old to enjoy. 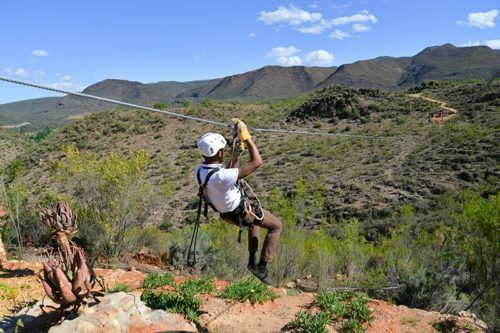 Guests need no experience and will be fitted with full body harnesses, safety helmet and briefed on all safety aspects. 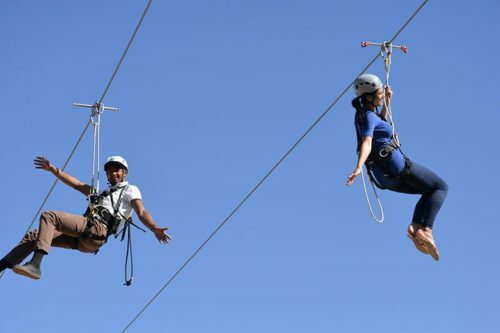 This is an opportunity to enjoy the ride, take in the views and thrill of ‘flying’ across the picturesque fields below. 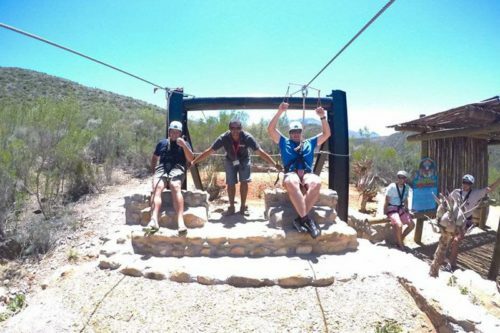 From safety briefing to final platform takes just 15-25 minutes for up to eight guests and for groups of 8 – 25 you can expect to spend 1 hour with us. Children above the age of 5 are also welcome. But we have taken smaller depending on if the child fits into the Harness. We do offer Tandems for the children by our fully trained guides. The first tour commences at 09:00 and last tour at 16:30, 6 Days a week, Sundays first tour commences 09:00 and last tour 15:00. Remember we do have a Deli on the Premises, we roast our own coffee beans so fresher than this you won’t get. We offer a variety of Lunch Meals.